Our mentors are friendly, experienced Rust developers who will help teach you new techniques and tricks. Rust is a systems programming language that runs blazingly fast, prevents segfaults, and guarantees thread safety. It aims to bring modern language design and an advanced type system to systems programming. Rust does not use a garbage collector, using advanced static analysis to provide deterministic drops instead. It accomplishes this via the concept of ownership. Rust's core and the standard library are intentionally minimal; batteries are not included. Rustaceans are instead encouraged to add libraries, called crates, to the language by sharing them on crates.io. Rust is most frequently used for applications where speed, performance and stability are essential. The Awesome Rust list collects examples of Rust projects, which include CLI tools, ORMs, operating systems and games. Regardless of what you build in Rust, it will be fast and memory safe! The home page for Rust is rust-lang.org. Rust has excellent documentation at rust-lang.org/documentation.html. Newcomers should start with "The Book" located at doc.rust-lang.org/book/. Once you join the Rust language track, you will receive support and feedback from our team of mentors. Here are the bios of a few of the mentors of this track. I am a student and spend most of my time hacking on personal projects. I enjoy Rust as it makes some of the more painful parts of programming easier to handle. 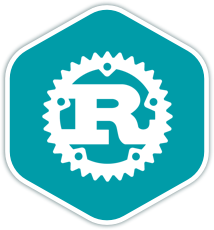 Rust empowers developers to write code that is ambitious, fast and correct. Viva Rust! Long-term programmer and pipline developer in the Visual Effects (VFX) community; recently decided it was time to make a change in life and become a polyglot; while Python remains my industry's go-to language, Rust, Go, and others are nipping at the heals, and I've never learned better than by helping others lean. Rust is a language that feels as comfortable as the next Ruby. While I can't say I'm an expert quite yet, I've taught a university course in it, so I hope I've picked up enough skill to help beginners out. I am a C++ and Python developer who is learning Rust. I feel that teaching is a great way to learn, so I am hoping to give back a little while learning more myself. I've been playing with Rust as my hobby language of choice since version 0.10. Before that, I was using C++ for a lot of my side projects. These are a few of the 88 exercises on the Rust track. You can see all the exercises here. The Rust Maintainers are the brains behind the Rust Track. They spend their spare time creating interesting and challenging exercises that we can all learn from. We are incredibly grateful for their hard work. Here are the bios of a few of the maintainers of this track. I love real-world, usable examples. I'm a huge fan of being able to help others to make something work how it should with maximum performance. I especially love Rust and have written a tool called BrewStillery in it and GTK-rs. Get started with the Rust track. As with everything on Exercism, it's 100% free!